Target this week has launched one of the first notable App Store and iTunes gift card discounts since the holidays, offering shoppers the chance to buy one iTunes card at regular price and get a second one for 20 percent off. 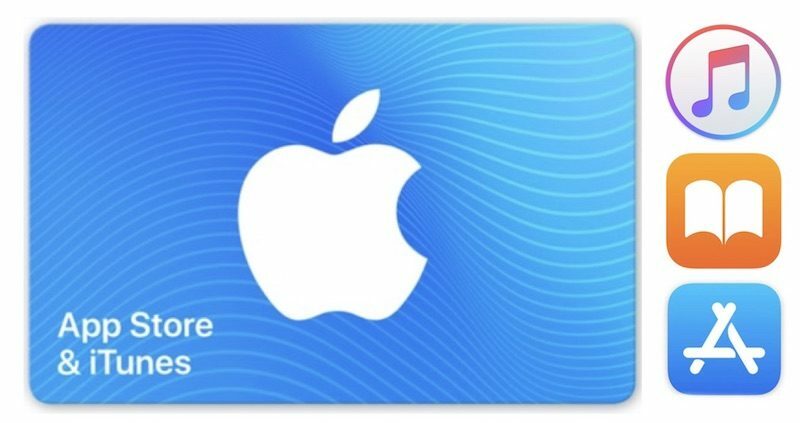 While not as good as the straight 15 percent discounts for a single card we've seen over the past few months, this is one of the only iTunes card sales going on right now, so it could be a good opportunity to add some credit to your iTunes account. If you're a Costco member, you have a chance to save a bit more money with discounts closer to the 15 percent savings seen in previous iTunes gift card sales. Costco's members-only iTunes sale will end this Saturday, February 10. In addition to the iTunes card sales, Amazon's Gold Box Deal of the Day might be worth checking out for anyone interested in saving money on an older, refurbished iMac. The timed deal has the 21.5-inch iMac from late 2013 (2.9GHz, 8GB RAM, 1TB HD) priced at $699.99, down from $1,199.99. The iMac is sold by Woot through Amazon, and is said to show limited or no wear and include all original accessories. If you're looking for more information on the latest discounts, head over to our full Deals Roundup. If you have their "RED" card (not sure why that is always all-caps) you can save another 5%. Comes to $171 for $200 in gift cards (two $100 cards) if you are stocking your account up, just a little under 15% discount (14.5%), which is the general "best discount you'll find" for the past year. There are regularly 15% off discounts - they happen usually monthly. If you need cards now, this isn't a bad deal with a $200 purchase but it's not great for smaller amounts (10% for $100, 5% for $50). Costco currently has cards 15+% off for members (this goes to $25 but other amounts are 15% off too: https://www.costco.com/%2425-App-Store-%2526-iTunes-Gift-Code-(E-Delivery).product.100288796.html). Sam's Club had them 15% off last month. There were multiple other deals in December and November and so on. These discounts need to happen for Apple Retail Store gift cards :D ….. not just iTunes Store. I guess this is online only? No. When you go to electronics in the store the cards are discounted. For what it is worth, two $15 cards also get the 20% off the second, plus 5% off the result with RED card, for a total of 14.5% off ($25.65 for $30 in gift cards). The percentages are the same no matter which size card you buy. I just stock up on $100 cards when these deals come up so all our iTunes purchases are effectively 15% discounted from the list price. Yes, I didn't mean to imply that 14.5% was earth-shattering, but rather that you won't get much above that, if any. I think the largest discount I got in the past year was 18% at Sam's Club (in person). These are very common in the last couple of months of the year of course. The last 15% deal I saw outside members-only clubs was from PayPal Digital Gifts just before Christmas, and I think I ignored some card-by-mail offers from Staples.com since then (lost $200 in gift cards from Staples which never arrived here a few years back so I'm never going to order gift cards with physical mail delivery again). Haven't seen any 15%-class deals since then. Costco has shown up several times, but we don't have a membership there (the Costco near us is always overcrowded and painful to shop at).